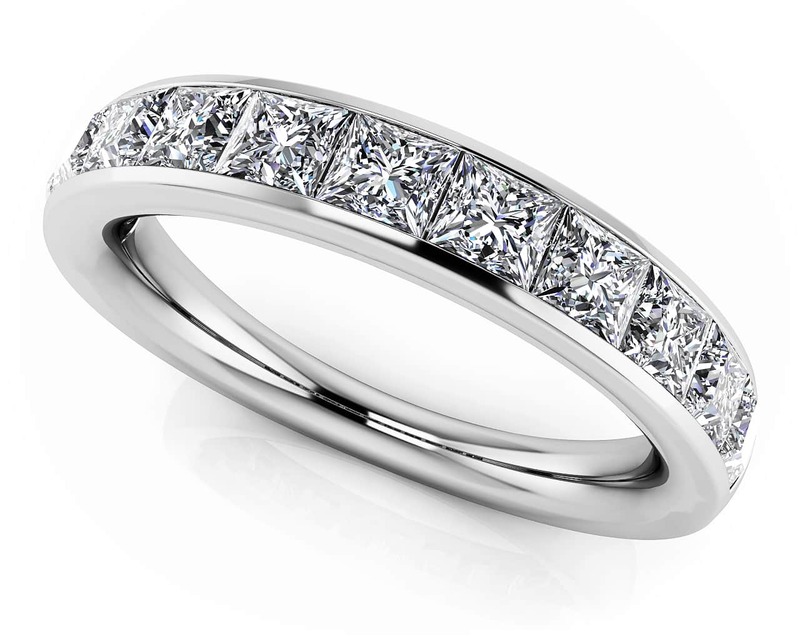 Elegant design and tasteful simplicity combine on this beautiful princess cut diamond ring. 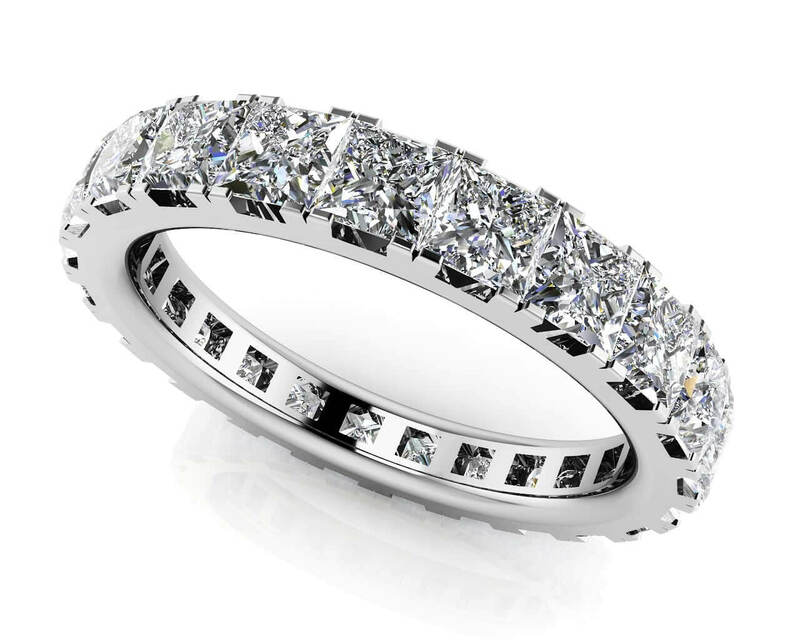 A delicate milgraine border defines 11 sparkling princess cut diamonds, channel set into your choice of gold or platinum band. 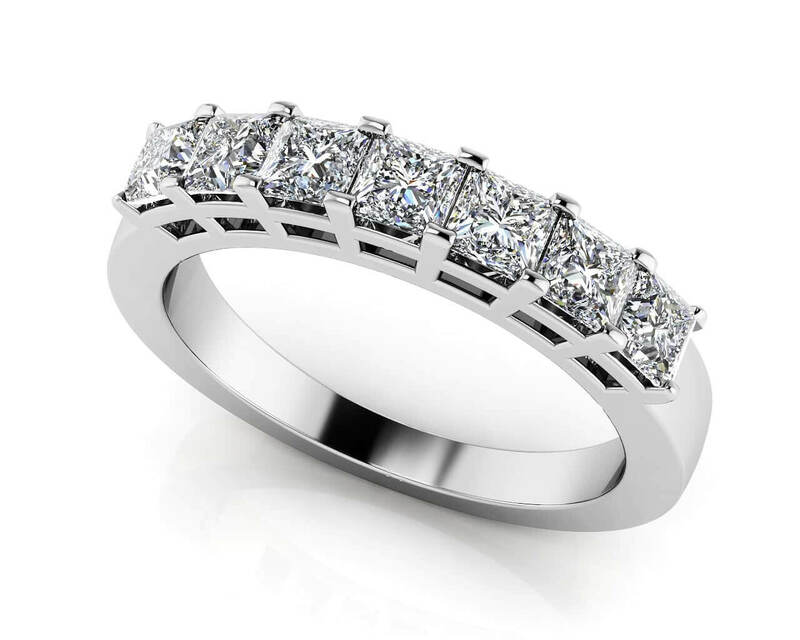 Available in a variety of carat weights, find your perfect ring today! Stone Carat Weight: 15X.050 ct.